Planet Odd* winning ESL One Genting 2017 and Evil Geniuses in Dota Pit League Season 5 – NA is stronger than ever, even better than Europe. In every esports, it’s the same. Be it League of Legends, Dota 2 or Counter-Strike, the community will always say that EU is better than NA, but is it really true? Actually, the North American Dota 2 scene is very strong and most viewers underestimate the impact of NA. The prize pool of The International is more than all Majors combined, making it the most important tournament of the scene and giving it a huge impact on which teams are good and which are not. Of course, the simplest way to put it is this: Europe won their last TI in 2013, while NA won more recently in 2015. 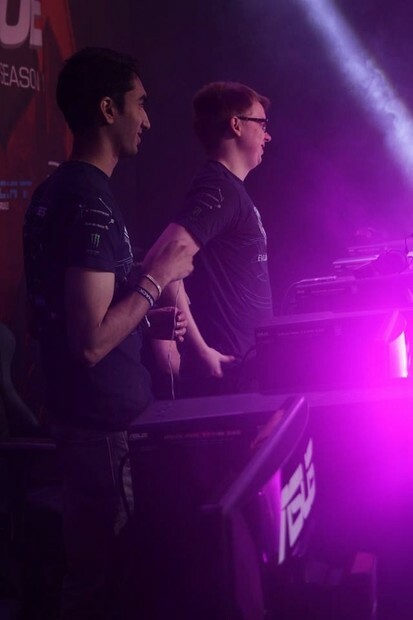 Evil Geniuses’ victory at TI5 is one thing that shows how good NA really is, the true force of the region. Since 2014 the team has had a major impact in the Dota 2 scene culminating in the win at TI5. Even now EG is still one of the best teams in the world, even after losing two true legends. With the departure of Peter 'ppd' Dagerand Clinton 'Fear' Loomis some thought EG would lose their dominante position, but in fact they haven’t slowed down a bit. Artour 'Arteezy' Babaev, Saahil 'Universe' Arora und Sumail 'SumaiL' Syed Hassan are the stars leading the NA squad to new success. SumaiL has been one of the best mid laners for two years now, even though he just became 18. With such a young star, EG are in a strong position not just to win tournaments, but build a dynasty, perhaps even become two time TI champions – no wonder EG is on second place in our power ranking. Digital Chaos – NA fighters or just European imports? 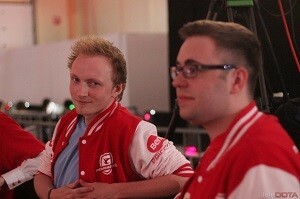 Digital Chaos won against Newbee, the top Chinese team right now, at ESL One Genting. After competing in the TI6 final and the Boston Major semifinal, this win shows that they are still at the top of the scene. Still, the main issue people have with DC being North American is that four of their players are from Europe. Of course, it is easy to say that they are still Europeans so I shouldn’t count them into my arguments for NA Dota. But still, if you compare esports to traditional sports it comes down to a player’s team, not whether a player is from that country. For example, when speaking about the Premier League in England, it’s about teams like Manchester United, Arsenal London, Manchester City or Chelsea – nobody is even arguing about whether they are strong because they signed foreign players. For me it’s easy: Digital Chaos is competing in North America so they are an NA team. In fact, given how Valve is currently dividing regions, EU won one TI ( The Alliance) and they are the only EU finalist ( Natus Vincere is clearly a CIS squad). Just looking at the statistics: NA is better with one TI victory and one finalist in TI6. If you really want to talk about the strength of NA or why NA is better than EU, it’s the infrastructure and money being invested into esports. No region invests more money into esports: organizations like Evil Geniuses, compLexity Gaming or even others like Danish Bears, Team Liquid (although they have European rosters) – that is true NA power. If you look at both scenes, the difference with import players is obvious: Almost no NA based player is currently playing in European Qualifiers. Is the reason because Europe is too strong for NA or are is there something else there? My question is: Why are so many people from Europe competing in NA? In my opinion, it’s not because of lower skill in North America or better chances in qualifiers – ProDotA Gaming* competed in the NA qualifier for The Boston Major and lost. The real reason is the infrastructure built by NA organizations. If you really want to be an esports professional, North America is the continent you should choose. This is why so many good players from other regions are in NA today. The USA is known for having one of the most diverse group of ethnicities. People from all over the world move there to live and fight for their dreams – it’s the same in Dota 2. Rasmus 'MiSeRy' Fillipsen, Roman 'Resolut1on' Fominok, Ludwig 'zai' Wåhlberg, Andreas 'Cr1t-' Nielsen or even Abed 'Abed' Yusop – all the players have high skill and could compete in the strongest regions of the world skill wise and still they are in North America because this is the place they unfold their potential even more. The best example is MiSeRy, an old-school player who already has competed in Europe and China, but his best success so far has been playing in North America. He went beyond being a good player to a star captain on one of the best teams in the world. Maybe skill wise European players are stronger, although NA players like UNiVeRsE, Arteezy, SumaiL or Jacky 'EternaLEnVy' Mao are well-known for being high skilled as well, but people easily underestimate the true power of NA Dota 2 and eSports in general. Players can reach their true potential in North America and this is why NA is better Europe in Dota 2. You may find joinDOTA's new Canadian editor arguing in favour of EU Dota here. Go back behind the scenes at EG with "Life of a Genius"